Why do celebrities love asparagus? You may have heard it through the grapevine: Hollywood stars swear by asparagus to keep in top shape. The list of asparagus lovers is long, including Britney Spear, Jessica Biel, Victoria Beckham and Matthew McConaughey, to name just a few. 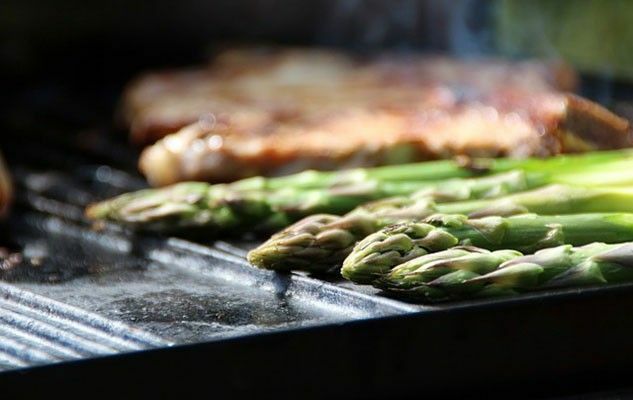 For once, this is not just a fad, as there are some real good reasons to eat asparagus, on top of its refined flavor. Indeed asparagus abounds with a great quantity and variety of antioxidants. It is also rich in minerals, folate and vitamin K. Low in calories, with a 90% water content, it is known for its re-mineralizing and diuretic properties. In other words, it is an ideal food to eat to get in shape before Summer. During Spring, locally grown asparagus are widely available at a good price. Make the most of it!